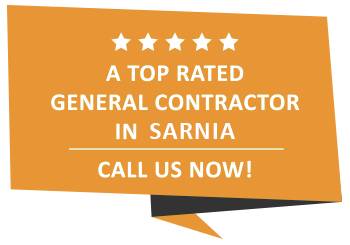 Sunroom Construction | Sarnia, Strathroy and Petrolia | Carosyl Home Additions Inc.
Would you like to enjoy the great outdoors while never leaving your home? Would you like to expand the square footage of your home while also enjoying natural light and an excellent place for entertaining friends and family? If you answered yes to any of these questions, then perhaps it’s time to consider adding a sunroom to your home! At Carosyl Home Additions Inc. we provide the people of Sarnia with almost unlimited options for the sunroom of their dreams. A sunroom can be a wonderful addition to your home but in Sarnia it is also important that it is properly constructed to provide a year round space to enjoy. Wouldn’t it be wonderful to enjoy the natural light of a cold but sunny day from the comfort of your home? With a sunroom constructed and installed by Carosyl Home Additions Inc., there’s no reason you can’t have it all! From rainy spring mornings to hot summer afternoons, you can enjoy the outdoors while remaining in a climate controlled, bug free environment. No more need for bug spray or thermal winter gloves, simply sit back in your beautiful new sunroom and enjoy. A sunroom should not feel like a separate part of your home. It should feel like an extension of your style and your décor. Carosyl Home Additions Inc. understands the importance of your sunroom being aesthetically pleasing and comfortable. We have years of experience working with the people of Ottowa so we understand that style and function are both incredibly important. We have remodelled countless homes and our experts will listen to your needs and desires above all else. We will always communicate with you to make sure you are getting the best sunroom for your needs. At the end of the day, our ultimate goal is a completely satisfied client who loves their new space. If you want to add a little light to your home and extend your space, then a sunroom is a perfect option. Contact Carosyl Home Additions Inc. to discuss the endless possibilities for your home today.